Everyday counts…because students achieve significantly better when they attend school all day, every day. Everyday counts…because attending school every day will improve a student’s life chances. Everyday counts…because attending school helps build social and emotional skills such as resilience. Everyday counts…because going to school is a legal requirement. We aim for every student to have 100% attendance, 100% attendance and good punctuality will always be rewarded. Whilst genuine illness cannot be avoided, parents/carers need to be mindful of any medical appointments that are taken within school time. These appointments are classed as absences and can, therefore, have a negative effect on attendance figures. Wherever possible, medical appointments should be made outside school hours. If this is not possible, students should aim to be in school during registration and before mid-day when the official registers are calculated. Students are expected to attend school for 190 days each year; this means that there are 175 days when they are not in school in which to book medical appointments, holidays, leisure activities, etc. 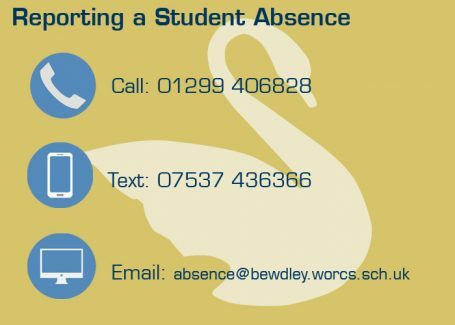 If parent/carers do not let the school know their child is away from school ill, they will automatically receive text message to notify them that their child is absent. It is vital that parent/carers reply to this message otherwise their child’s absence will be recorded as unauthorised; the same process is used if a student is late. There is strong statistical evidence to show that students who have excellent attendance are more successful in school and achieve to a significantly higher standard. Research from the Department for Education suggests that 17 missed school days a year will result in a drop of one grade in GCSE achievement. Embrace the school environment, make good friends, keep motivated and enjoy the challenge.